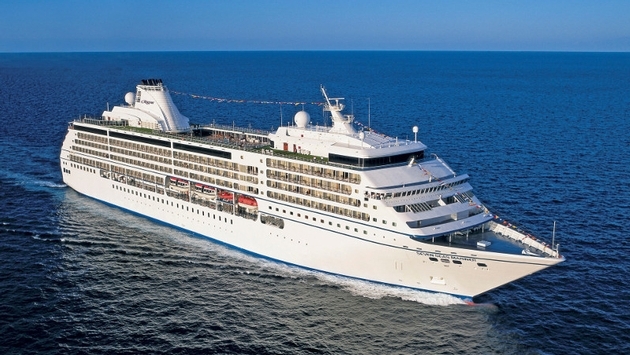 Today, Regent Seven Seas Cruises unveiled its 2015-2016 Winter Collection, revealing a lineup that features a variety of destination-rich itineraries that will travel to the mystic lands of Asia and Africa, iconic cities in South America and Europe, and through breathtaking landscapes of the Caribbean and Alaska. In total, the Regent Seven Seas Cruises fleet will visit more than 150 ports in 50 different countries with its Winter Collection, including several overnight stays in the world’s most desirable destinations. For sailings in the Mediterranean, Asia and Africa, Regent Seven Seas Cruises is introducing new options for its complimentary pre- and post-cruise land programs which include a free three-night hotel stay, complemented by guided tours that immerse guests in the destination. For example, guests booked on voyages beginning or ending in Bangkok or Singapore can discover the ancient temples of Angkor Wat and explore the jungles of central Cambodia on a once-in-a-lifetime adventure, all while enjoying the comforts of five-star hospitality. Continually recognized for providing guests with the most comprehensive, all-inclusive luxury experience, Regent Seven Seas Cruises is adding to that reputation by offering these three-night land stays complimentary to guests booked in a Concierge Suite or higher. The customized land adventures, valued at $1,999 per person, are also available for guests staying in a Deluxe Suite for a special rate starting at $699 per person. The luxury line also introduced eight new Grand Voyages, ranging from a 35-night Cape Town to Miami sailing, all the way up to a 72-night South American roundtrip Miami cruise. The 49-night Singapore to Tokyo Grand Voyage introduces two new intriguing ports of call for Regent Seven Seas with Boracay Island, known for its award winning beaches and Jeju, South Korea, home to Hallasan National Park, a UNESCO World Heritage Site. With such an elaborate array of itineraries, the breakdown below outlines in more detail the regions and destinations where the Regent Seven Seas Cruises fleet will sail in winter 2015-2016. 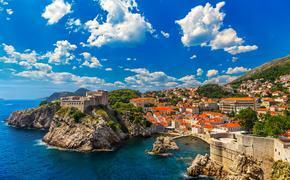 Seven Seas Voyager will sail across three continents with voyages in Africa, Asia and Europe. During its six sailings in Asia, Seven Seas Voyager will offer an extensive number of overnights in exotic ports of call such as Rangoon, Bangkok, Ho Chi Minh City, Hong Kong, Xiamen, Shanghai, Beijing, Kyoto, Tokyo, Osaka, and Hanoi. The ship repositions to the Mediterranean with a 21-night Dubai to Barcelona sailing on May 2, 2016 that includes a new port of call, Khasab, Oman along with overnights in Safaga, Egypt (Luxor) and Haifa, Israel (Jerusalem). Seven Seas Mariner begins the season traversing the South African coast before setting off on an unforgettable 14-night sojourn from Cape Town to Rio de Janeiro to explore the vibrant destinations of South America, from the wonders of Patagonia to the exotic Amazon River. The ship spends much of April 2016 sailing the Caribbean before heading through the Panama Canal and heading up to America’s last frontier. This marks the first time since 2009 that Seven Seas Mariner will visit the picturesque ports and stunning natural scenery found along the inside passage of Alaska. Guests sailing the intimate 490-guest Seven Seas Navigator in winter 2015-2016 will be able to experience the alluring beauty, colorful communities, pristine beaches and delightful cuisine of the Caribbean islands. In total, the ship will sail 10 Caribbean voyages ranging from 7- to 10-nights in length, with a special 25-night trip to the Amazon being the highlight of the season. After a couple months in the Caribbean, Seven Seas Navigator will return to the Mediterranean and sail the French and Italian Riviera, including a 10-night voyage departing April 13, 2016 that visits Port-Vendres, Marseille, Saint-Tropez, Monte Carlo, Portofino and Cinque Terre. Seven Seas Explorer is scheduled to join the rest of the award-winning Regent Seven Seas Cruises fleet in the summer of 2016. Designed to be the most luxurious ship ever built, reservations for the maiden voyage and inaugural season for Seven Seas Explorer will be available to book in early 2015. For more specific itinerary details or for general information about Regent Seven Seas Cruises, guests can visit RSSC.com, call 1.844.4REGENT (1.844.473.4368) or contact a professional travel agent. Guests will be able to book these exciting new cruises starting at 8:30 a.m. EST on Oct. 15, 2014.